Wind Cave is one of those parks that’s nobody’s primary destination. Well, that’s not true. According to a National Park Service survey, it is the primary destination for 3% of visitors. For me, it was the fifth stop (of six) on a grand loop of North and South Dakota parks. Wind Cave was another one of those parks where I didn’t plan for or spend nearly enough time. It’s not a park that requires a long stay to get a feel for, but the 4 hours I spent there was not sufficient. I, of course, did the cave tour, but the highlight for me was above ground, photographing bison, hiking to a fire tower, and driving a long dirt road in search of a tree. One thing this trip demonstrated for me was the importance of having knowledgeable park rangers available to talk to. Even after all of the planning and web searches, and blogs like this one, there is still much to learn from the people who are on the ground every day. The map below represents my limited experience with the park. I entered the park through the west entrance and departed through the north. In between, I hit the Visitor Center, made a couple short hikes, and drove into the park’s more remote eastern edge. I will definitely add to this map on future trips, but for now, if you’re looking to make this one stop of several, I would say make sure you visit these spots. I try to visit parks before Memorial Day or after Labor Day; as you can see from the graph below, June – August is the peak visitation season for almost all of the cold and/or remote parks. I’m sure there is a circular relationship here. Park facilities are scaled back in the Winter for lack of visitors, but there is probably not many visitors because services are scaled back. Either way, May was a great balance of people and weather. I was in North and South Dakota for over a week and it rained more than half of that time. When it wasn’t rainy, it was windy. Those are the chances you take with a late Spring visit. Luckily, I caught beautiful (though breezy) weather in Wind Cave. The day before I visited Wind Cave, I visited Mount Rushmore, Crazy Horse, and Sylvan Lake in Custer State Park. So Custer, SD was a natural place to stay. 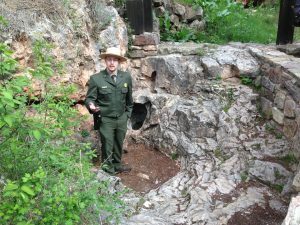 In fact, 24% of people that visit Wind Cave stay in Custer the night before their visit according to a National Park Service Survey. 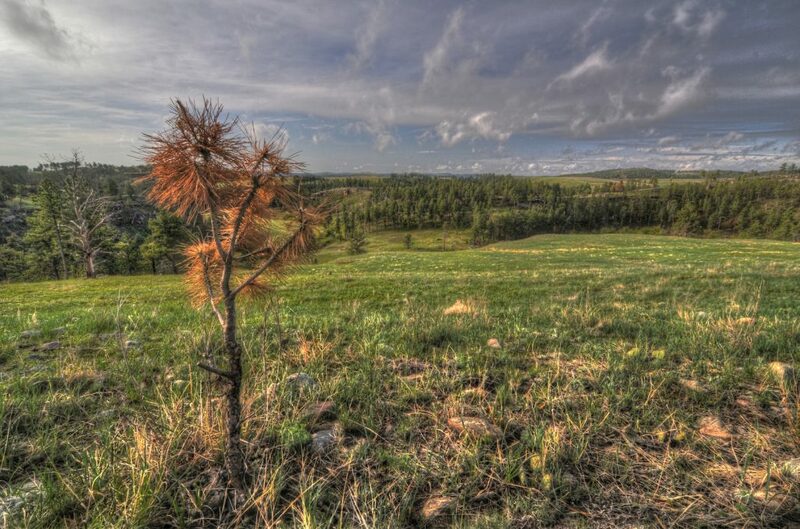 Custer is about 20 miles (a 22 minute drive) north of Wind Cave. 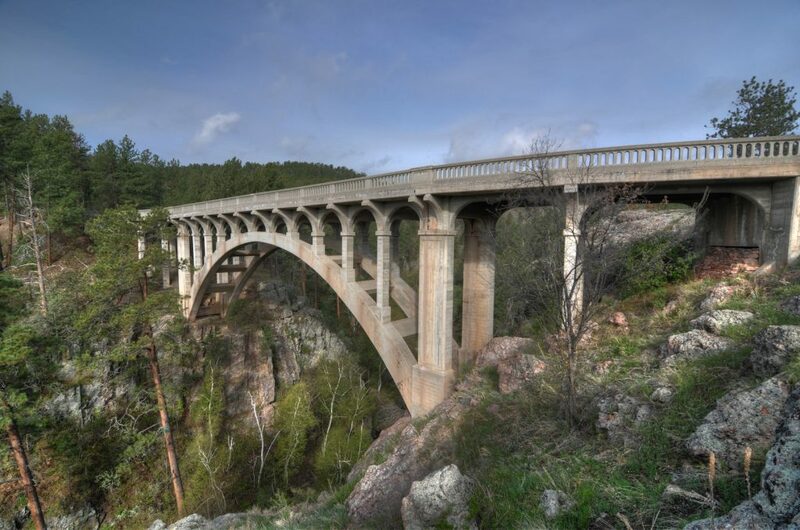 There are a number of places to stay there, it is a busy tourist stop in the Black Hills. I stayed at the Days Inn there and it was a nice place for a reasonable price. Being a tourist town, Custer has no shortage of restaurants, cafes, and bars. I kept it simple while I was there, eating at a Quiznos and having the continental breakfast at the hotel. My four hour stay in the park is typical. For those that stay less than a day, the average time spent in the park is 3.6 hours. Only 21% of people stay more than 5 hours. I would have liked to spend more time, but I was trying to squeeze a lot into this day. I wanted to drive the wildlife loop in Custer State Park and make the two hour drive to Badlands National Park in time for sunset. I was also distracted because once I settled into my hotel in Custer, I received a call from my credit card company saying my number had been used by someone else. So they had to cancel my credit card while I was in the middle of a trip. In case you’re wondering, my credit card number wasn’t stolen anywhere along my trip through the Dakotas. It was stolen, of all places, in the cafeteria in the building where I work. I forged ahead though and was glad to experience as much as I did. After a rough night fretting about my credit card, I slept in a bit, ate breakfast and still managed to reach the park by 7:30 AM; later than sunrise as I had planned, but still early enough to get some warm light. The overcast and rain that had plagued me earlier in my trip was gone though and the clouds were perfect for photos. I entered the park from the west along Highway 385 and turned north along the main park road 87. I had some time to kill before the cave tours started at 9:00, so I tried out a couple overlooks. I stopped at one near the Centennial Trail trailhead (the overlooks aren’t named, so I’ll have to describe them). This was a neat spot that had a view of the cool Beaver Creek Bridge from a distance. I continued north and stopped at an overlook just past the Beaver Creek Bridge and walked back along the road so I could get some closeups of the bridge. The road increases in elevation so you can see a good distance from there. By that point it was a little after 8:00, so I drove to the Visitor Center to get my ticket for the Cave Tour. As you might imagine, touring the cave is the one thing that nearly everyone does on their trip to the park (77% of people in fact). I would imagine the 23% who don’t take the tour are mainly those who can’t make the half-mile underground walk. I took the Natural Entrance Cave Tour which lasts about 1 hour and 15 minutes. There were maybe 15 people on that first tour in the morning; mostly from a single group of students and chaperones. It was OK, but not particularly exciting. After having been to Luray Caverns in Virginia, I was hoping for much larger interior spaces. Wind Cave is definitely a cave and is not cavernous. I was also disappointed by the lack of photo opportunities. I didn’t get a single shareable photo out of that time; which, when I travel, is the thing that brings me the most happiness. 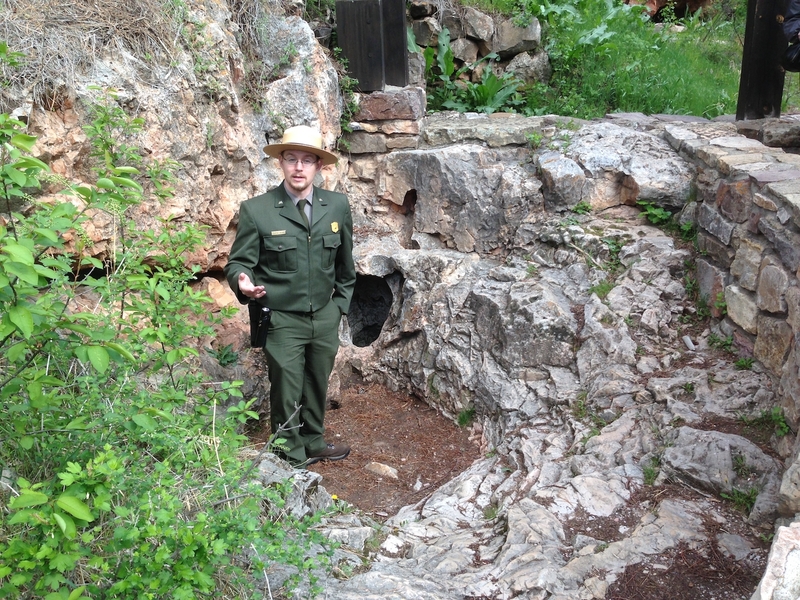 I did soak up some knowledge from the ranger that led the tour. Once we completed the tour and I went back to the Visitor Center. Normally, I plan my trips out well enough that I know where I want to go to get photos, but I hadn’t planned much for Wind Cave. So I asked a ranger where he thought I could find some good photo opportunities. He broke out a map and told me about a dirt road that leads east into an open prarie portion of the park. He said to look for a lone tree along the road. He thought that tree would be photogenic. He was right. I will get to that in a bit, I just wanted to highlight the helpfulness of the park staff. I left the park and started to head north again on park road 87. I followed that until I got to the Rankin Ridge Trail. One hike I had scoped out before going was up to a lookout tower with a great view of the park. 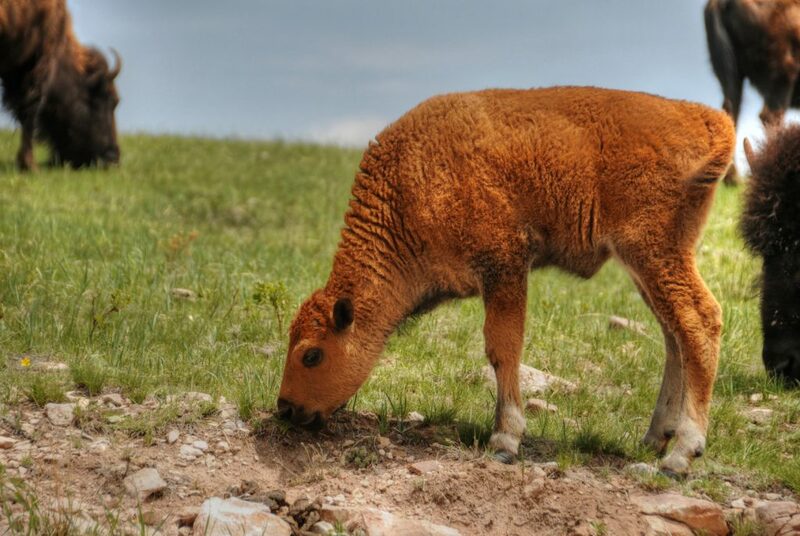 When I got to the parking lot at the base of the hill, there was a lone bison grazing near the trailhead. I waited in my car for about 10 minutes until he moved far enough away for me to feel comfortable going to the trail. The hike was pretty easy. It is a loop trail and I walked it in the clockwise direction, so the first part was a narrow trail through a forest that goes north and then bends back to the south at the crest of the hill where the fire tower sits. The trees thin out there but they were still getting in the way of my panoramas, so I climbed the stairs of the lookout tower. The top was blocked, but I made it up to the highest landing and took some photos from there. On the way back town, I walked the fire road. It is a much more gradual slope and would probably be preferable for those that aren’t that comfortable with hiking. Once back in my car I headed north. Less than a quarter mile from the exit of the park (and the entrance into Custer State Park) there is a dirt road to the right side (Road 5). That’s where the ranger told me to go. I drove that road quite a ways, 5-10 miles before I found the tree he was talking about. He was right, there was no mistaking it. There were some trees nearby, but it looked very much on its own in the vast prairie. I got out of my car and spent a half hour taking pictures of it and the surrounding open land before heading out of the park. I swung through Custer State Park and then on to Badlands National Park. Though I only spent 4 hours in the park, I felt like I had accomplished most of what I wanted. When I go back I will likely add some hiking to my itinerary. I would really like to spot some elk in the park. I have since heard that Boland Ridge Trail is a good place for that. I also would liked to have had at least one sunset or sunrise in the park. When you go to Yellowstone, you see Old Faithful. When you go to the Grand Tetons, you see Schwabacher’s Landing. 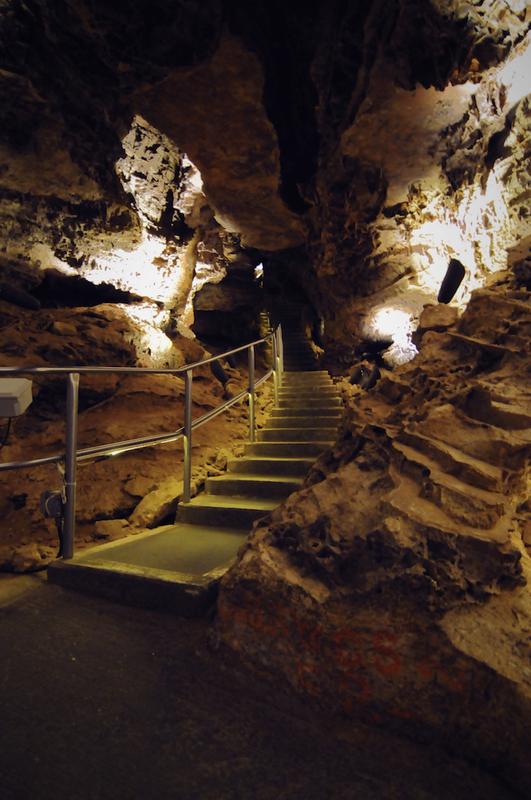 When you go to Wind Cave, you, of course, go to see the cave. I was as fired up as anyone to see the cave, but I did not get a single decent shot out of it. It is, as you might guess, dark and it is far too narrow for tripods. So I walked away with a number of blurry or underexposed photos. 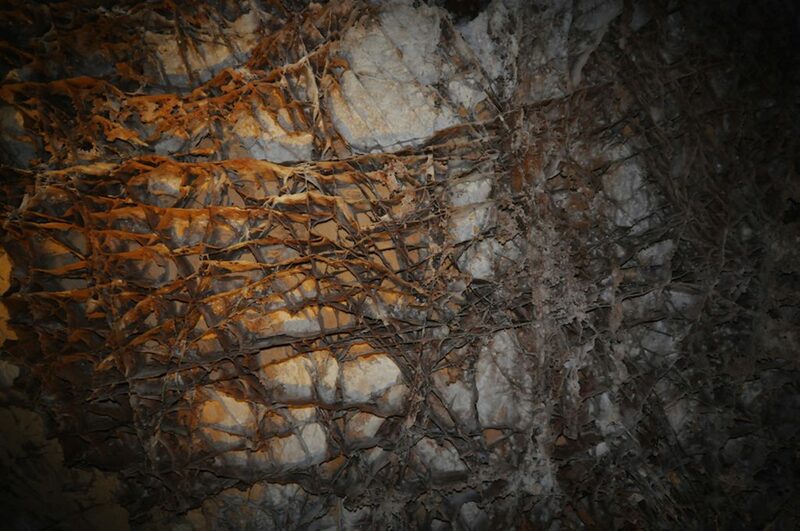 The key feature I was hoping to capture is the boxwork formations that the caves are most known for. I wanted a nice, abstract texture photo. This was what I got. I may try again, but when I go back to Wind Cave, I will likely time it so that I can try another one of the cave tours. 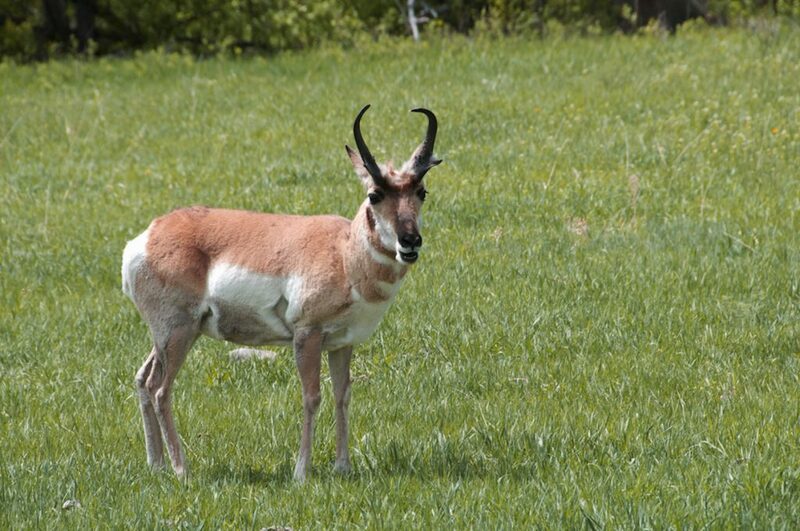 Wind Cave National Park on NPS.gov – Get information straight from the people who know best. My Wind Cave National Park Gallery on Flickr – A collection of my photos from this trip on Flickr. My North & South Dakota Parks Pinterest Board – My collection of other people’s photography from this park.